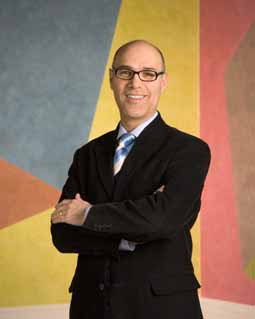 The Association of Art Museum Curators today announced the election of John Ravenal of the Virginia Museum of Fine Arts as its fourth president. “John Ravenal is both a distinguished curator and a respected member of the larger museum community; we are fortunate to have him as our next president,” says Sally Block, executive director of the AAMC. Ravenal is the Sydney and Frances Lewis Family Curator of Modern and Contemporary Art at VMFA, a position he has held since 1998. Prior to joining the VMFA curatorial staff, Ravenal was associate curator of 20th-century art at the Philadelphia Museum of Art. On Saturday, June 20, 2009, at 7pm, Hamiltonian Gallery will open an introductory group exhibition of these five new Fellows. Each artist will be displaying the work with which they were accepted. The exhibition will run from June 20 - August 1, 2009. The five new 2009 So-Hamiltonian Fellows were selected from a pool of over 180 applicants this year, up from 130 applicants the previous year. It has been a tradition of this blog for many years to publish various AOM Top 10 lists as they are sent in by anyone and everyone who wants to send one. In the past these Top 10 Artomatic lists have even resulted in gallery shows for the mentioned artists. Campello Pinot Grigio is available practically everywhere, most notably at Trader Joe's in those non fascist states where supermarkets can sell wine. Reviews and comments here. For around six or seven bucks it has been getting rave reviews!